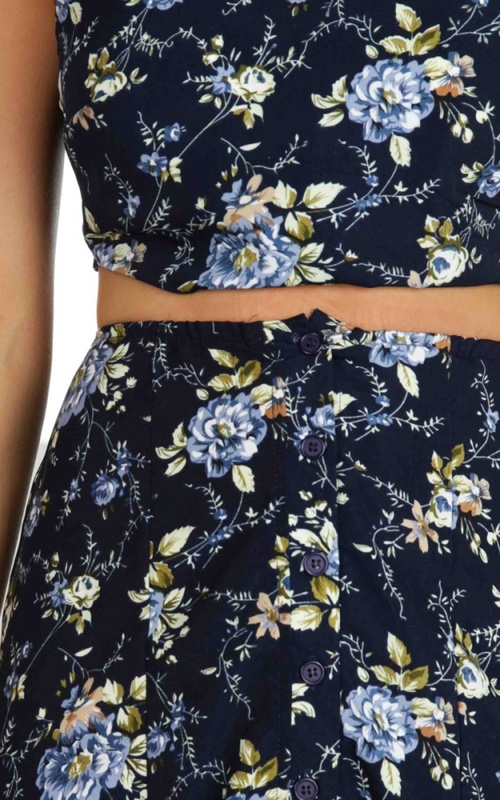 Embrace 90's fashion in our Fallen Petals Two Piece Set in Wine Floral. The top of the set has a high neck with exposed back and adjustable ties at the back. It also has slight padding on the bust so wearers can lose the bra but stay comfortable. The skirt has buttons in the middle stretching down to the bottom where it meets a middle split. The bottoms also have splits on both side, adding a little extra flirt to the outfit.